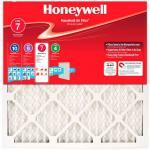 The Honeywell Allergen Plus is made of a pleated media offered at a value. Its electrostatic charge and larger surface area of pleated material improves the efficiency of its dust-holding capacity. Housed in a recyclable clay-coated moisture resistant frame, this reinforced filter captures particles as small as 1 micron. In comparison, a human hair is approximately 100 microns in size. 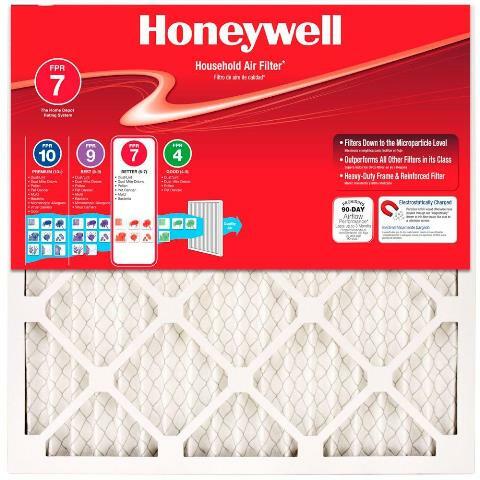 The Honeywell Allergen Plus is effective against the following contaminants: dust/lint, airborne dust mite debris, pollen, pet dander, mold spores and bacteria. 14 in. x 25 in.